Every couple of years a product comes along that seems to take a whole bunch of complex musical tricks and bundle them into a single box. 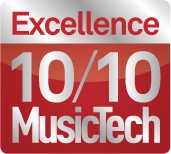 That description could be applied to the much-loved Stutter Edit It’s also true of this second collaboration between renowned producer and technologist BT and acclaimed software developer iZotope. 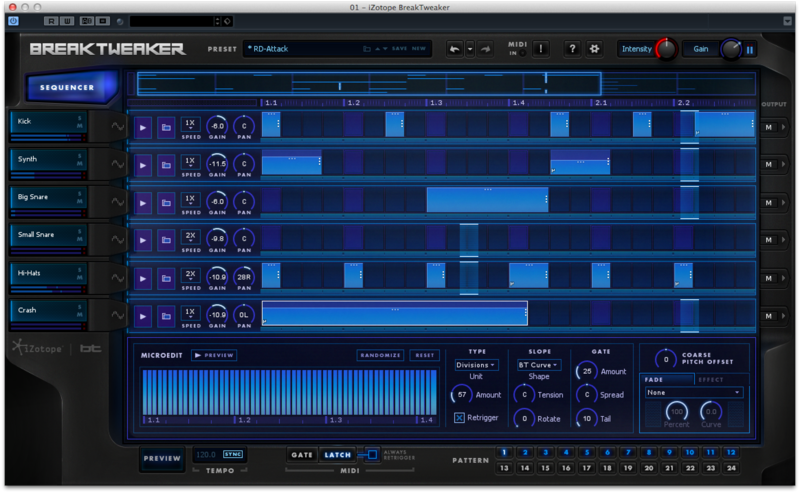 Like Stutter Edit, BreakTweaker is a MIDI-triggered plug-in that’s capable of some quite mind-bending feats of sonic wizardry, though its focus is a little different. 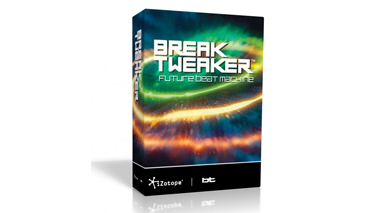 Billed as a drum sculpting and beat sequencing machine, BreakTweaker works as an instrument in all leading DAWs. 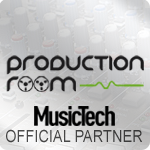 You are provided with a 2GB library of drum hits and sound effects which are tuned and designed by some of the brightest leading lights in the electronic music world. Expansion packs are also available at just under £30, including Vintage Machines, Cinematic Textures and Kicks and Snares by Beatport Sounds. Note perfect Your first stop will be the 32-step sequencer, where you input notes into any of the six tracks and 24 pattern slots available for every patch. The sequencer is polyrhythmic, meaning each track can have a different length independently of the others, and a track can also be set to play back at a different speed, from 1/3 the speed of the host DAW to three times its speed. So you are already able to build unusual and complex beat patterns that change over time. There’s a great collection of cutting edge presets and samples provided and you can swap any sample out easily, or just load a new kit while keeping your existing pattern. Drag and drop of any AIFF or WAV sample from your desktop into the instrument is also supported to quickly incorporate it into your beat. Each of the six tracks can be routed out to a separate mixer channel if your DAW supports this, which many recent versions do. Click on the Generator button for any track and you are taken to its “source” section. 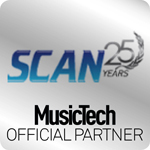 Each track can load up to three generators which can be sample or synth-based. The sample section lets you set start, end and loop points using various modes as well as setting coarse to fine tuning plus gain control. If you choose a synth as the source, you can take advantage of the two Morphing Wavetable Oscillators available per Generator. Each has multiple selectable modes and it’s possible to use a slider to set the waveform shape. Making it easy to create new tones and timbres as you tweak. For either Generator type you also get an effects section which has two distortion slots and one filter, both have multiple types available, and four envelopes and LFOs to fine tune and assign to other parts parameters such as pan and gain controls, waveform shape and effects settings. Slice it up The third and rather unique section of BreakTweaker is called MicroEdit and is revealed when you select any step in the sequencer. Using the control area at the base of the window, you can take complete control of the way the sound is processed to get some truly cutting-edge results. The core idea here is one of splitting a sound up into potentially thousands of tiny slices and altering the way they are played back. A typical example of how this works in BreakTweaker is to dial in some “divisions”, which stutter the playback of a sound over time. You can do the same with pitch, time and speed. The slope, tension and rotation of the playback can also be modified as well as the gating that determines the length of the slices. If that sounds a bit dry, in practice it’s tremendous fun and very cool. The kind of futuristic hyper-chopped up drum hits and glitch effects you hear in some electronic music can be created quickly and easily. Bass sounds can be made to “swoop” up and down in pitch and time, as for that matter can drums. You may think that six tracks sounds limiting but it really isn’t because what you can do with them quickly becomes complex and involving. 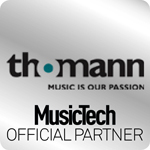 It’s perfect for dubstep of course but equally good on techno, hip hop or anything where your beats need to be full and in-your-face. 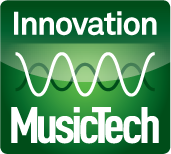 By recording pattern changes as MIDI in your DAW and using either Gate or Latch trigger mode you can build up pro-sounding drum parts that sound like they have taken hours to program that actually haven’t. The really clever part is that there’s a huge depth of programming power but it’s been made fun and intuitive. 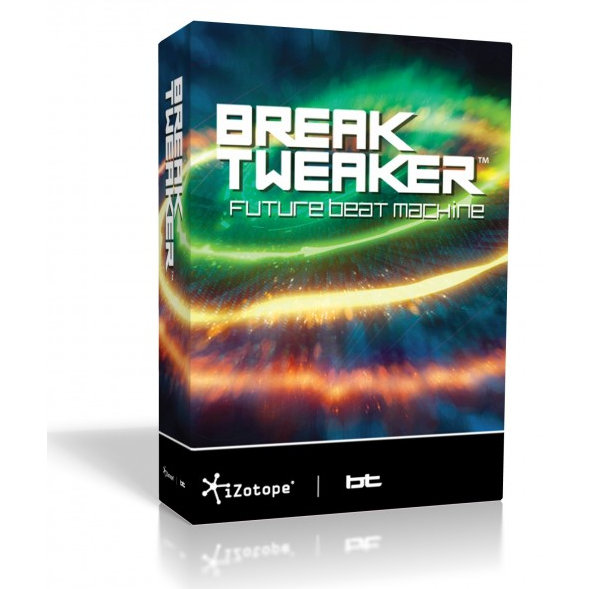 Tweaking the presets or building kits and patterns from scratch are all exciting ways to play around with this heavyweight beat sculpting and programming tool. Expect to hear it on some hit records very soon. A powerful and forward-thinking instrument that simplifies the process of making huge, cutting-edge beats that sound immense.